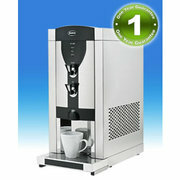 Find free classified ads for Office Equipment for sale and to buy in Blackburn. Shown below are classifieds for Office Equipment. Please use search box above to find other items in Office Equipment Blackburn or look at the Blackburn for neighboring places in the locality. Whilst Water Smart would always recommend Mains-fed and Plumbed-In Water Coolers and Dispensers, occasionally this may not be an option. Water Smart can also provide Bottled Water Coolers where necessary.The hot and cold water dispenser units offered by us are truly some of the best in the industry. Please Call us on: 1254677735 Visit us on: http://www. 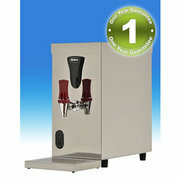 Are you looking for water coolers for schools? We are proud to say that our water fountains and water coolers have really made a difference in the educational world, helping students of all ages to stay dehydrated at all times and perform better in their academic pursuits. For more details get in touch withh us and we can gladly attend to your needs. Whilst Water Smart would always recommend Mains-fed and Plumbed-In Water Coolers and Dispensers, occasionally this may not be an option. Water Smart can also provide Bottled Water Coolers where necessary.The hot and cold water dispenser units offered by us are truly some of the best in the industry. So if you are looking for bottled water coolers that can function as hot and cold water dispenser units, you should definitely check out the products that we have to offer. Water Smart provides quality Mains fed Water Coolers and Water Dispensers to the Schools, Colleges, Health Care Buildings, Sports Centres and Businesses. We can supply suitable Water Coolers for your premises which will suit your needs to provide Refreshing Filtered Water to you, your employees and also to your clients. 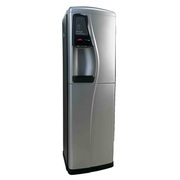 Whilst Water Smart does provide Bottled Water Coolers, if necessary, where possible we would always recommend that if there is a mains water supply reasonably close to where you would like your Water Cooler located, that you opt for a Mains fed Cooler as they are usually more cost effective and without doubt are far better for our environment. Water Smart are highly experienced in providing high quality, low cost drinking water through our easily installed ‘mains fed’ water fountains and dispensers, that provide an unlimited amount of cool clean fresh filtered water for pupils and staff to enjoy, and can be conveniently positioned around the school. Water Smart Mains fed Water Coolers Are Available to:Rent, Purchase or Rent to Buy, whatever option suits your budget.We also provide a Service Only Agreement if you already own your Water Coolers Water Smart was established in 2003 and is a family run Business offering a first class Service to all of our customers. Water Smart provide quality Mains fed Water Coolers to the Schools, Colleges, Health Care Buildings, Sports Centres and Businesses. 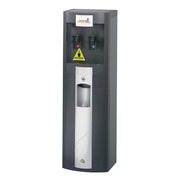 We can supply suitable Water Coolers for your premises which will suit your needs to provide Refreshing Filtered Water to you, your employees and also to your clients.. Published: May 08 for Water Smart Nw Ltd EnglandLancashire Water Smart provide a wide range of Indoor and Outdoor Drinking Water Fountains that can be placed around your school to ensure that pupils always have access to fresh palatable Drinking Water throughout the school day. Water Smart Drinking Water Fountains Are Available to Rent, Purchase or Rent to Buy, whatever suits your budget best. Water Smart services many offices, warehouses, factories etc and can offer a range of Mains-fed Water Coolers that will compliment your workplace. A Water Smart Mains-fed Water Cooler installed to replace a Bottled Water Cooler will immediately improve your companies "Carbon Footprint". And there will be no worrying about ordering or waiting for delivery of bottles of water. 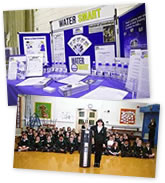 Water Smart specialises in the installation of drinking water systems in all types of schools and businesses. We believe that every customer is individual and because of this we offer to carry out site surveys prior to taking orders for our equipment because we want to install the right water cooler for that particular school or business and ensure that we get it right the first time. Water Smart provide quality Mains fed Water Coolers to the Schools, Colleges, Health Care Buildings, Sports Centres and Businesses. We can supply suitable Water Coolers for your premises which will suit your needs to provide Refreshing Filtered Water to you, your employees and also to your clients. Whilst Water Smart would always recommend Mains-fed and Plumbed-In Water Dispensers, occasionally this may not be an option. 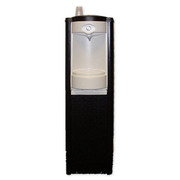 Water Smart can also provide Bottled Water Coolers where necessary. For more details, Contact on: +44 1254677735 or Visit on: www.water-smart.co.uk. United Kingdom free classified ads for Office Equipment, Blackburn, Office Equipment free ads Blackburn, Office Equipment for sale Blackburn, Office Equipment to buy in Blackburn. This page is a listing of classified ads for Office Equipment category in Blackburn. This section includes classifieds for sale and to buy in Blackburn. Office Equipment Blackburn ads Blackburn, Office Equipment classifieds Blackburn, Office Equipment free ads Blackburn, ads for sale Blackburn, ads to buy Blackburn, FREEADS in UK. Find here ads for sale, to buy and rent in Blackburn. Goods for sale in Blackburn, vehicles for sale in Blackburn, Blackburn real estate for sale, Blackburn property for sale, property for rent in Blackburn, business ads in Blackburn, Blackburn business classifieds, services in Blackburn, Blackburn services ads, jobs in Blackburn, pets for sale in Blackburn, Blackburn dating, Blackburn cars for sale.